Are you overwhelmed by all the marketing advice out there that generates little to revenue for your business? Do you feel a little lost when it comes time to make a sales call? When you do make contact with a prospect, are you getting no response? Do you ever find yourself dropping your price to win business? Does it take far too long to close the deal - if it ever gets closed at all? Are you TIRED of trying to build your business with ineffective sales and marketing tactics? Small to midsize business owners and entrepreneurs get into business to do what they love to do. What they love to do usually isn't marketing or sales. But if you can't market effectively and sell successfully, you do not have a business! This eye-opening seminar will help you THINK DIFFERENTLY about how to approach both, teach you transformational strategies and tactics THAT NO ONE ELSE IS DOING and are GUARANTEED TO WORK, setting you on a path to feeling confident that you KNOW what to do to generate more leads, close more business, and double your revenue - quickly, and sustainably. Seating is limited. Ticket includes networking, a hot breakfast, and life-changing information. 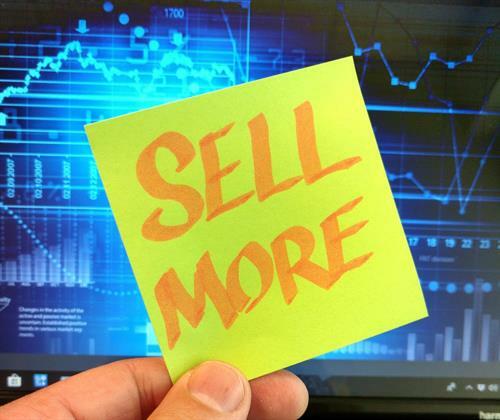 "'Selling' is one of those words that often makes an entrepreneur's palms sweat -- but regardless of how great a product or service you have, someone has to buy it! Fortunately, Londy Bracale helped me think about selling differently than I did in the past. It was actually fun to learn!" – Barbara H.
“Before Londy's training, I did not have a clear process for discovery and sales. In just a few weeks Londy helped me create a system that quickly leads to a sale or discovery that my service is not right for the lead. My sales have increased during and after this workshop, and I now have a sales process.” - Frank J.